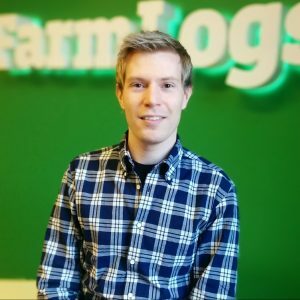 Research Series Post 1: Is Lack of Seed Stage Capital Hindering Michigan’s Economy? MVCA is excited to kick off the first post in our research report series! These posts are developed from the findings identified in the 2017 MVCA Research Report. Like last year’s series, we are turning to Michigan’s entrepreneurial and investment community to hear their perspective on a specific trend. This week, we explore the topic of attracting capital to Michigan and have responses from Rameses Alcaide (Neurable), Mike Psaurathokis (University of Michigan Office of Tech Transfer Venture Center), Ryan Waddington (Huron River Ventures), Tim Parker (Grand Angels), and Jesse Vollmar (FarmLogs). The entrepreneurial community has grown dramatically over the past decade, attracting the support of venture capitalists throughout the country who are investing in companies across a wide range of sectors and stages of growth. This growth is matched by the expansion of innovation, work opportunities, and diverse leadership in the state, as well as an investment community that is actively fundraising and expanding their networks to keep up with this boom in activity. While Michigan is a “Top 10 State” in terms of research spending, science and engineering doctorates, and invention patents, the state ranks 24th nationally for total capital invested. 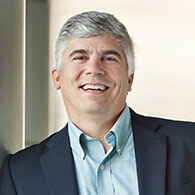 All indications point to the long-term viability of the entrepreneurial community with its abundance of research, talent, and ideas, but the ability to fund companies at all stages of growth is critical to growing companies in Michigan, keeping them in Michigan, and ensuring Michigan’s economic health in the long run. 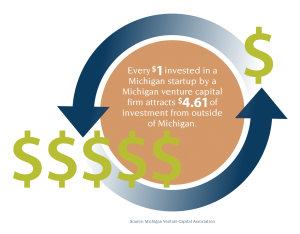 Michigan’s venture capital community plays a critical role in attracting and leveraging outside investment capital. Nearly all venture-backed companies in Michigan are supported by at least one venture capital firm located in the state. 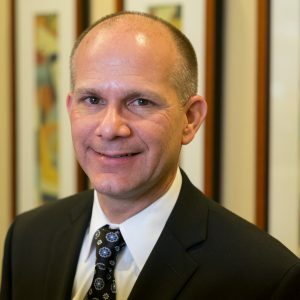 Local firms are often the first to identify strong Michigan-based investment opportunities and can then provide leadership and connections to potential out-of-state syndicate partners. 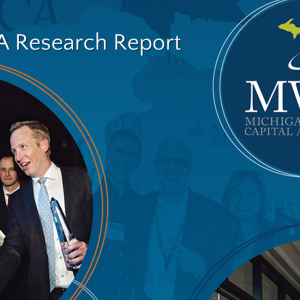 The 2017 MVCA Research Report indicates we still have work to do to ensure that there remains a robust capital continuum for Michigan’s entrepreneurs and their growing companies. Venture capital firms located in Michigan estimate that funds needed for new investments, coupled with the need for follow-on funding for their 141 Michigan-based portfolio companies, exceed what is currently available, reflecting the necessity for additional funds to help Michigan’s many venture-backed companies succeed. Michigan venture capital firms contributed 22% of the total capital invested in Michigan startups in the last year. The remaining contributions came from venture capital funds outside of Michigan. Michigan’s venture capital community is crucial to attracting and leveraging outside investment capital. More than 340 venture capital firms from outside of Michigan have invested in Michigan startups, which is a 269% increase in the last five years. This demonstrates extraordinary growth but also highlights the importance of building strong connections with investors throughout the country and introducing valuable new players to Michigan’s vibrant entrepreneurial and investment community. 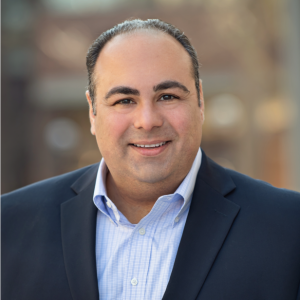 Data shows a shortage of venture capital available for Michigan’s high-growth, high-potential companies, leading founders of seed stage startups in Michigan to turn to out-of-state investors to fund their companies’ rapid growth. Does this hinder Michigan’s ability to build a stable, diverse economy? Why or why not? We knew that Neurable had a unique technology, but that there was a long road ahead in terms of business development. Our company is strongly associated with the University of Michigan, and we wanted local investors to help us build our business. However, we found we had to look out of state for capital, ultimately leading us to relocate the company. If Michigan wants to attract and retain high-tech companies in the state, investors must be less risk-adverse and there needs to be greater capital available at the seed stage. As someone who has worked with startups in Michigan for many years, the evidence is clear to me that the lack of seed stage venture capital in Michigan is problematic in many ways. Lack of pre-seed and seed capital hampers both public and private efforts to grow the State’s entrepreneurial community, retain and attract young talent, retrain and attract experienced talent, and attract additional capital to Michigan. 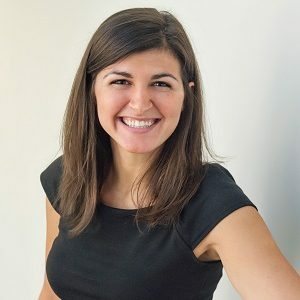 While the State’s efforts, through various MEDC programs, in support of pre-seed, seed, and even venture capital have been extremely positive (see the independent report from TEConomy Partners), the fact remains that the supply of angel and venture capital available is not meeting the needs of Michigan startups. 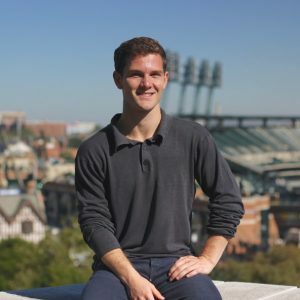 In just the last three years at the University of Michigan Office of Tech Transfer, I have witnessed several great University of Michigan technology startups leave Michigan to seek, and successfully find pre-seed, seed, and growth funding. That is a not just the loss of a few businesses, but a drain on the talent pool, a lost opportunity to attract new talent, a lost opportunity to keep graduating students from our universities in the State, a lost opportunity to attract more investment capital, and a loss to the overall entrepreneurial culture that so many are trying to nurture and grow in Michigan. Without a clear runway of capital support as companies grow, investors at all stages will remain overly conservative, talent will be hard to keep and attract, and companies will continue to seek out-of-state funding which often times leads them to leave the State. Access to capital is a challenge that the University of Michigan is prioritizing and actively trying to address in order to support high-growth startups coming out of our university. Stay tuned. The challenge is nuanced based on the stage. Michigan has a well-developed and active angel community that plays an important role in funding many promising companies at the pre-seed stage. However, like most investors, angels invest in sectors in which they have vast experience. 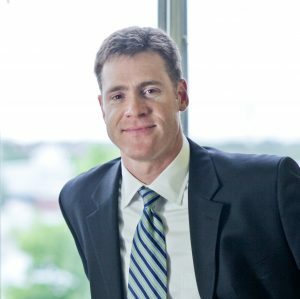 Unfortunately, that makes it difficult for some local startups to attract angel investment. 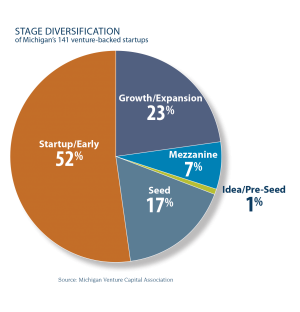 Michigan is facing a shortage of capital available in every sector for seed and Series A rounds of financing – primarily because these are the stages when the investment in high-growth companies are led by venture capital funds, and currently there aren’t enough locally-based early-stage funds with dry powder to support the demand for capital from companies that are emerging from the pre-seed stage. As a consequence, some of these companies have had to find their lead investors elsewhere. This creates multiple problems as Michigan is building a stable, diverse economy. It causes some of our most promising companies to leave the state. Additionally, this flight of companies from Michigan dries up possible investment opportunities for growth/expansion stage venture investors, causing them to place their capital elsewhere. And, it deprives Michigan of the success stories and serial entrepreneurs that create the virtuous cycle needed to propel our state forward. It is imperative that Michigan has strong angel investors and well-capitalized venture capital funds focused on investing in high-growth, high-potential seed stage companies in order to build a healthy economy in Michigan. Michigan needs quality investors to grow the entrepreneurial community and build a stable, diverse economy in the state. In my experience as the CEO of a quickly growing startup company in Michigan, investors in Michigan have limited experience investing in and building massively successful companies. Because they’ve only seen base hits and not many home runs, investment terms are structured conservatively to match smaller outcomes and don’t optimize for massive success. Great founders won’t accept terms that limit them and quickly move on to out-of-state investors who are less risk-adverse and flexible enough to provide better terms to top-tier startup companies. The thing about investing in early stage companies is that the difference between great and bad is hard to spot. Airbnb may have seemed like a bad idea at first, but it was a great idea. Risk-adverse investors only invest in companies that are obviously good. That isn’t where the great companies are born because, by the time something is obvious, someone else has likely already won. Great investors know how to take risks on big, crazy ideas that have the potential to be massively successful. Entrepreneurs raising their first round of capital often struggle to find the funding necessary to grow their companies. At the same time, they are laboring to develop, test, refine, and launch their business concepts. Often, this is a time where the business or product is still unproven and is evolving quickly. 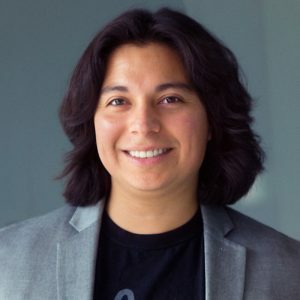 Their best chance for being able to justify their need for capital is with local investors, who can provide not only the financial investment they need, but also the motivation, expertise, and hands-on support required to build a company. Grand Angels has a specific interest in building businesses in Michigan because it grows the economy where we live and chose to raise our own families. Therefore, we believe in investing locally, and our organization actively helps high-growth startup companies in Michigan reach their goals. The fact that founders of Michigan companies are not able to find adequate funding in Michigan is discouraging because the benefits of a strong entrepreneurial community to Michigan’s economy are obvious and numerous. A strong entrepreneurial economy in Michigan will not only attract capital from within the state and other regions but also bring more talent and innovation to the community. If Michigan doesn’t plant and cultivate those seeds in our own backyard, these businesses will not take root here, and the state won’t be able to enjoy the fruits of their labor.